Business Time is a series of episodes created to teach English online featured on English Club TV that have been specially designed to address the needs of viewers looking to improve their business English. 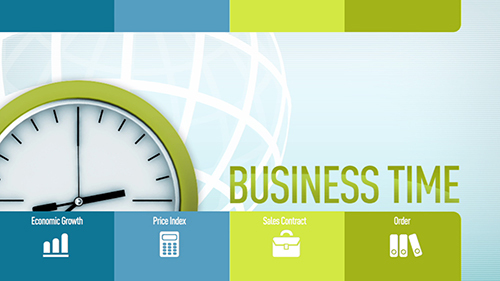 Business Time is formatted to help viewers improve their business vernacular and incorporate this new learning into their current employment. Each episode features a visual glossary or new terms and the definitions as well as an accompanying verbatim subtitle track that guides viewers along the stories illustrated on screen. Subject matter differs from news and events in the business world. The native host describes each story to viewers and after each story viewers are asked simple questions to gauge their comprehension of the content, making it the perfect way for students to learn business English online.